PS. Look out for Part 5 – Harmony is coming soon! Oh yes, you read that right – another freebie! STARR is free for the next five days! PART THREE – STARR (approximately 20,000 words) – Starr has been running her whole life – running like a wolf, which is ironic really, because that is exactly what she is – only she doesn’t know it yet. Unaware of her ability to shift her shape until her path crosses with an old Arapaho Indian, Starr continues her travels across America blissfully unaware that she is being followed. Louis Ortega knows what she is and he wants her, along with the other indigo kids, and will stop at nothing to get what he wants. When Starr is tracked to a bar in Montana and a mysterious grey-suited man tries to kidnap her, she is saved by the white wolf Snow Faery. Starr begins to realise that she is different, that she has a gift and that she isn’t the only one – what she doesn’t know, is that that gift could get her killed. She is being called – they are being called. It’s time for the beginning of the end. It’s time for…. Awakenings. We all like getting something for nothing, right? Of course we do! So, to celebrate the release of Part 4 – CECI (Seesay) we are giving away HADI – Part 2 ABSOLUTELY free! Yup, you read/heard that right. 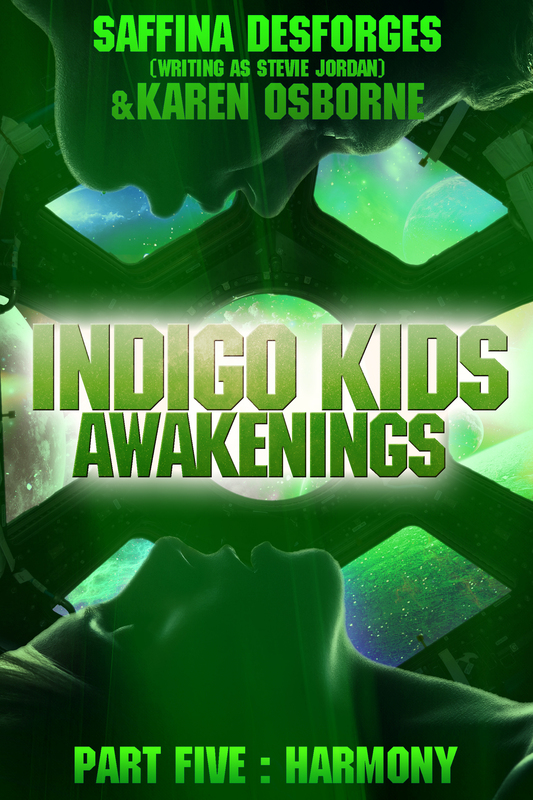 Indigo children ~children believed to possess special, unusual and sometimes supernatural traits or abilities. 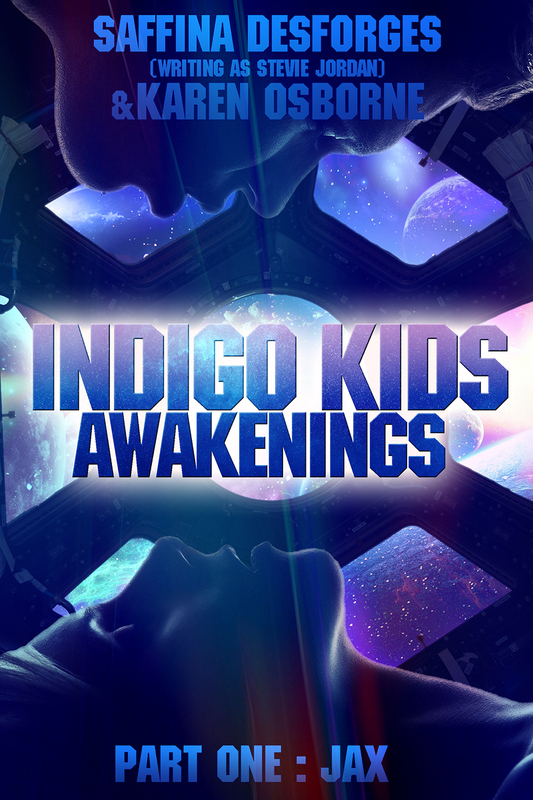 The INDIGO KIDS: Seven special children – one mission. Through time and space, seven uniquely talented children are called together. Connected by an invisible thread and each with a special gift, they are given a supremely important job: To save the world. They are the chosen ones. 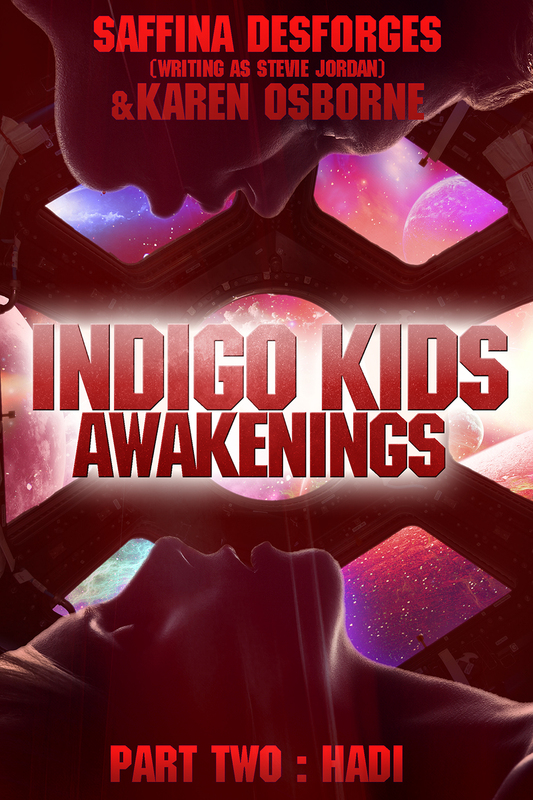 They are – the Indigo Kids. PART TWO – HADI (approximately 22,000 words) – Hadi is a geek. He’s always been a geek. With few friends and growing up in a rapidly evolving Egypt, Hadi’s only escape is into the world of computers. A world where he is King and he feels safe. When the mysterious grey man turns up at his mother’s door and offers him a coveted place at a clandestine institute, Hadi has no choice but to take it. There, he starts to uncover secrets that will change his life – and possible everyone elses – forever. He is being called – they are being called. It’s time for the beginning of the end. It’s time for…. Awakenings. Parts 1-4 JAX, STARR & CECI are out now! Part 5 – HARMONY is coming soon! Ming & Xi & Shai will be released before the summer and Book 2 – Paragon & Book 3 – Nirvana will follow. So tell your friends, tell the kids – it’s FREE. What are you waiting for?